Scott is your normal sleepy town chief of police. He’s happy with how slow things are at work, but when the town bully gets murdered at the Vet’s office he’s stumped. He’s not a detective, nor does he have the man power or connections to solve the murder, so Scott ends up calling in Sarah from the sheriffs department to help him solve this crime. Sarah is a detective and has the resources he needs to solve the case. Unfortunately Sarah is determined to make him do the dirty work, which wouldn’t bother him much if anyone in the town actually cared about Theo’s murder, but the people in town are ecstatic Theo’s dead. And have some of their own dirty secrets to keep. To make matters worse Sarah’s more interested in getting Scott between the sheets than solving the murder. Scott, on the other hand, only has eyes for Maggie. He just can’t get Maggie to give him the time of day. Scott hates gossip. But he does get closer to his goal with Maggie as he opens himself up to the gossip around town, and it’s a small town, in order to solve the crime. Along with the “anybody could be the killer” aspect this book is a fun read. 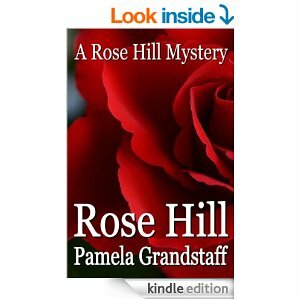 Rose Hill had me laughing out loud, and I can so relate to the small town gossip mill.